This is the big one: in fact, it's the biggest water bottle Camelbak makes. This rugged, leak-proof Chute® Mag bottle has a high-flow spout that makes it easy to chug or pour without spilling. The newly-designed top has an easy magnetic stow that keeps the cap out of the way while you drink and is wide enough to easily fill and clean. This is the big one: in fact, it&apos;s the biggest water bottle Camelbak makes. 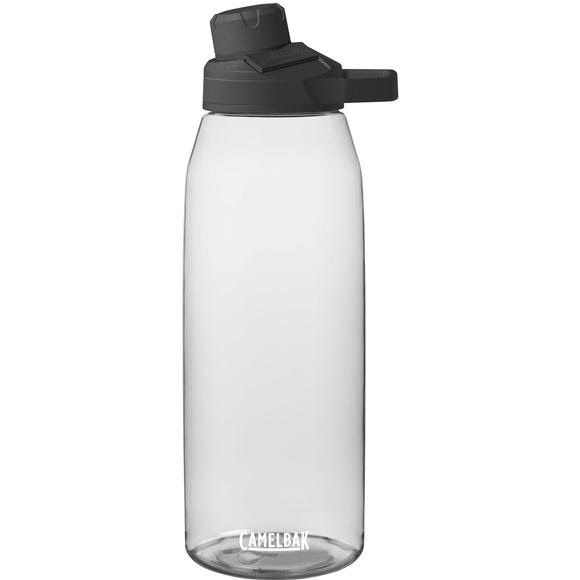 This rugged, leak-proof Chute® Mag bottle has a high-flow spout that makes it easy to chug or pour without spilling. The newly-designed top has an easy magnetic stow that keeps the cap out of the way while you drink and is wide enough to easily fill and clean. It&apos;s great for long trips or for refilling smaller bottles, and the magnetic cap makes it easy to drink or pour one-handed so there&apos;s no more fumbling to keep the cap out of the way. Love my big camelback bottle. Really like the magnetic lid that keep cap from flopping around.